San Diego, CA Dentist | Edmund W. Jay, D.D.S., Inc.
We want all of our San Diego paitents ot know Implant dentistry is the most advanced therapy available to replace missing teeth. 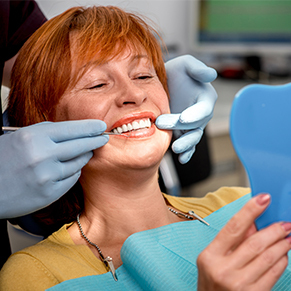 Dental implants may offer you important advantages compared to other treatment options. Welcome to Dr. Edmund Jay's dental practice, where our priority is helping your mouth to function at its highest capability. Our plan is to meet your dental and prosthodontic needs, with highly advanced technical procedures, which researchers have proven the best treatment options available today. Welcome to Dr. Edmund Jay's dental practice, where our priority is helping your mouth to function at its highest capability. Our plan is to meet your dental and prosthodontic needs, with highly advanced technical procedures, which researchers have proven the best treatment options available today. 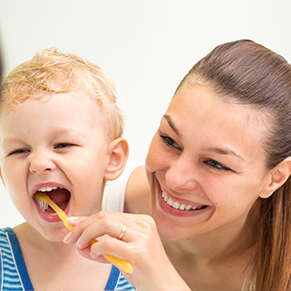 Dental health is imperative to your total health. Dr. Jay wants your overall health to be in harmony, taking a holistic approach to your cosmetic and esthetic functionality of your teeth. For us it is not only about your teeth looking good, it is about your teeth functioning at their highest level, creating your ideal health. According to the American College of Prosthodontist, a recent survey concluded that 25% of Americans would like to change their smile or teeth, and that a great smile adds substantially to ones self-esteem. 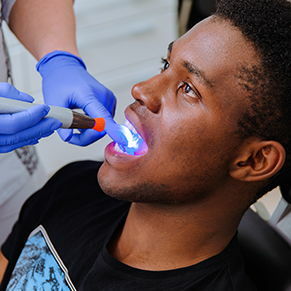 Dr. Jay is a Prosthodontic Dentist, one of the seven certified dental specialties of the American Dental Association, calling for three additional years beyond standard dental school. Prosthodontics dates as far back as the Aztecs and Incas, but even more obvious with people like George Washington. His first prosthetic replacements created from ivory, but during his lifetime, his denture derived from natural human dentition. Although today's technology has created materials that look and feel so incredibly like natural teeth. As a Prosthodontist, our focus is on dental restorations. This includes restoring, replacing and repairing damaged teeth; restore proper function; such as speech and chewing to enhance one's personal appearance. This will be achieved through the use of cosmetic dentistry, crowns, implants, bridges, Invisalign, dentures, and regular cleanings and check ups. Whether providing your general dentistry, treating TMJ pain and sleep apnea, or working with your general dentist, Dr. Jay and his team want to make sure that you understand all of your treatment options. Being able to sit down and discuss with Dr. Jay which options best fit your needs immediately and what you need for long-term health. We provide a different dimension to treatment planning and delivery of care in order to collaborate with other specialists. Thank you for taking the time to review our webpage, and we look forward to working with you soon. Call us today at (858) 270-0682 or send us an email with any questions or to make an appointment at our San Diego, CA office! Dr. Jay lived his childhood along the Monterey Peninsula, where he always aspired to do spiritual things. Upon graduating high school he attended to the University of Arizona where he achieved his BS in Nutritional Biochemistry at the same time receiving his Associates in Applied Sciences, Dental Laboratory Technology.